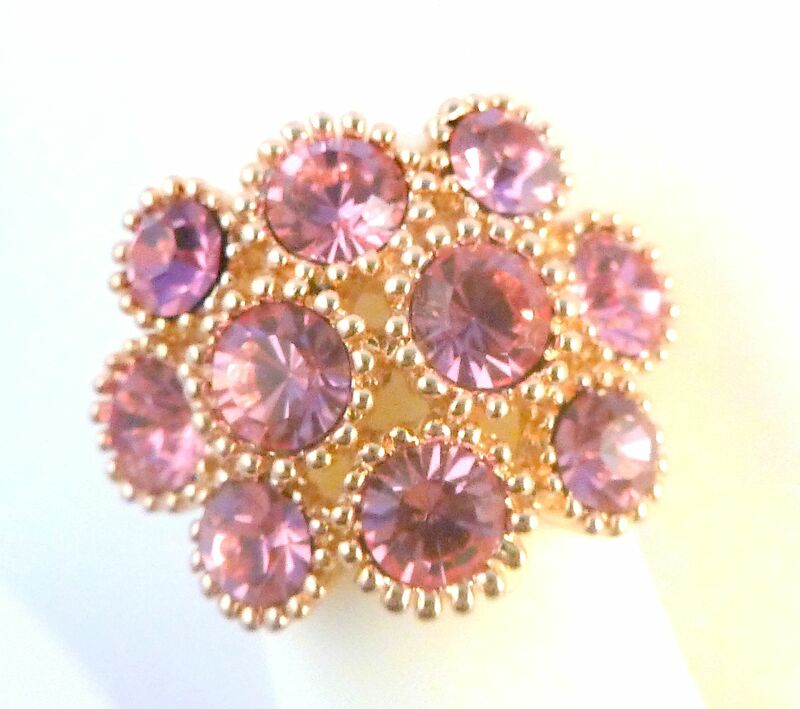 Large Chunky Pink Rhinestone 18ct Gold Plated Dress Ring. 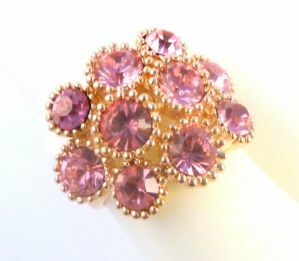 Large chunky pink rhinestone set 18ct gold plated dress ring. 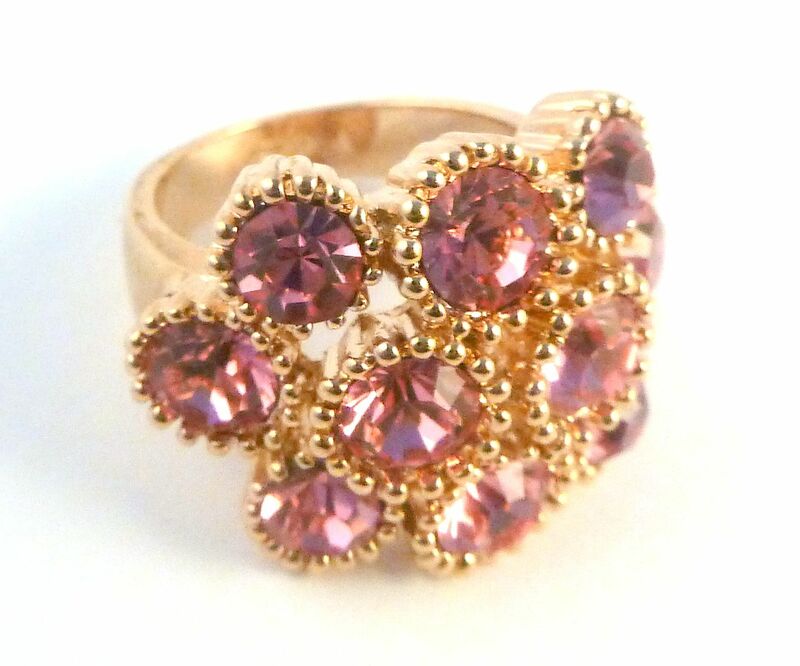 Pink rhinestones and 18ct gold plated ring. 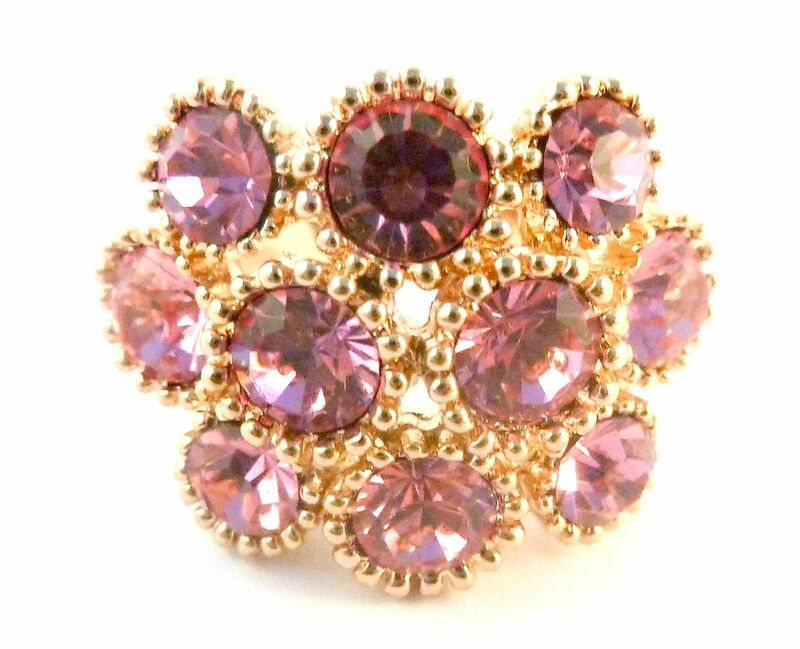 Suitable for size UK O, USA size 7 1/4. 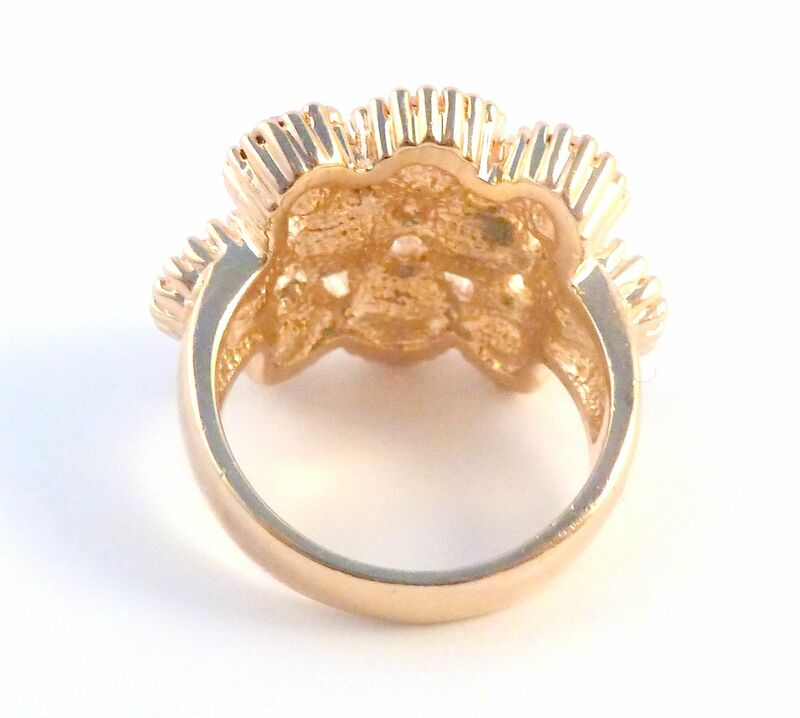 Stamped 18KGP for 18ct gold plating to the inside of the band.